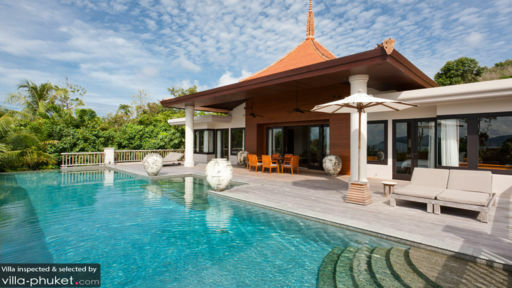 The luxurious Trisara Signature Villa sits on a prime spot along the fine coasts of Cherngtalay. 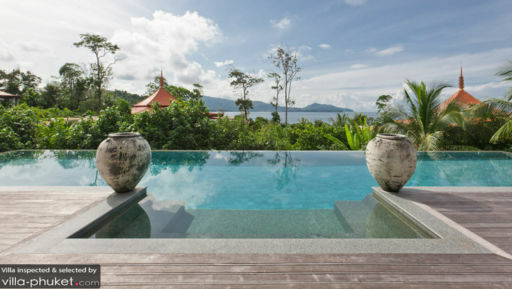 Enveloped by lush greenery, the villa offers a tranquil setting, and overlooks the boundless ocean and rugged coastlines of west Phuket. Two well-appointed bedrooms makes Trisara Signature Villa a cosy vacation home ideal for small groups or couples. The peachy hues adorning the rooms are a soothing sight on the eyes, while a variety of modern amenities ensure that guests reside in luxurious comforts throughout their stay. Both bedrooms offer private access to the pool and outdoor decks. A sparkling infinity pool, measuring eighteen metres, overlooks the bay. This is the best spot for guests to enjoy the golden hours of the day. Pillowy loungers flank the pool, offering a snug seat for morning coffees and evening sundowners. When the heat of the tropics gets a little overwhelming, step past the sliding doors into the breezy interiors of the living room. A tasteful selection of darkwood furniture offers a striking contrast from the neutral, cream-hued walls, and a choice selection of modern pieces accentuate the villa’s contemporary vibes. A well-equipped kitchen sits next to the living area, providing cooking enthusiasts with their very own culinary playground. The exclusive Trisara is home to a plethora of fine facilities. 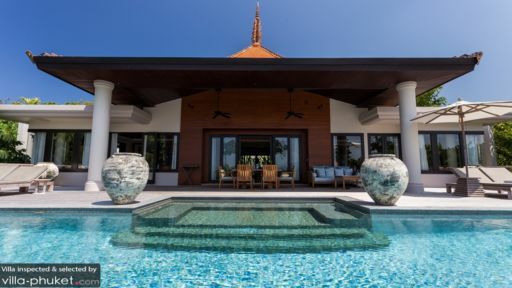 When it comes to mealtimes, take your pick between enjoying a private dining experience in your villa, or tuck into a feast in one of the three exquisite restaurants within the complex. Throughout your stay, you will enjoy endless options for rest and entertainment: indulge in pampering treatments at the gorgeous spa treatment suites, work up a sweat in the gym and tennis courts, or undertake private swimming lessons and muay thai classes. Families travelling with young children may leave their young ones to roam free in the fun-filled Trisara Kids facility. Trisara Signature Villa’s oceanfront location leaves one with much to see and do. Hire your very own motor yacht for a fascinating day trip to discover the surrounding islands and bays, or embark on an engaging scuba diving course with Trisara’s contracted PADI Dive Company. If your idea of an ideal vacation involves plenty of sand and sea, make your way to the nearby Bangtao Beach for a lazy sunbathing session along coasts.